Glass kitchen backsplash designs can give your kitchen a sharp and fresh look that is simply beautiful. More importantly, there are so many options to choose from that it is easy to create the perfect look and feel for your home and your personality. 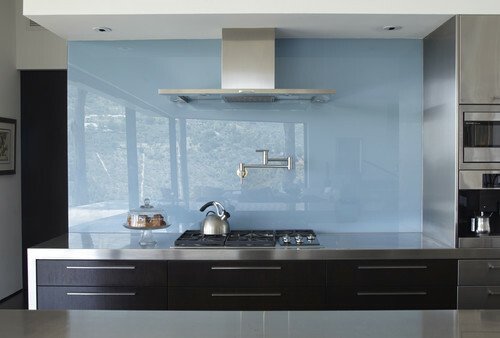 Glass backsplashes can be constructed from colored glass or clear glass. They can incorporate patterns reminiscent of your favorite artwork, or they can be solid colors that accent your cabinetry and flooring. For this reason, glass is a popular choice because it gives you plenty of freedom to select the backsplash of your dreams. In fact, you can even use your glass backsplash to open the room up. By choosing a seascape, cityscape, or landscape, you can create the illusion that your kitchen stretches off into the distance. It’s such a fantastic visual effect that you may want to spend hour upon hour honing your culinary techniques while you admire the view. We invite you to contact Forner – La Voy Builders, Inc. for more information about glass kitchen backsplash design. We’ll be happy to tell you ways you can incorporate the beauty of glass into your home this winter.